It’s an unfortunate fact of life that all man-made machines eventually fall apart. One of the main responsibilities of a home owner is to ensure that their family can stay comfortably in the home during all seasons. Another truth is that HVAC maintenance and repair requires special equipment and proficiency that a person without training wouldn’t have, hence the need for HVAC contract services. The trick lies in knowing when to make that call to a professional. If you decide to wait until your system breaks down at the height of the cold or warm season, it could take quite some time to get an appointment and cost you substantially in the end. The following guide will give you some tips for all seasons to ensure that your system runs efficiently all year long. There are only a few of things more dangerous or more uncomfortable than a home with no source of heat during winter. Even after precautionary maintenance, problems are still bound to arise. Fortunately, most of these causes of heat loss have easy remedies. Check to confirm that your thermostat is functioning correctly and that the pilot light is still on. If the heat is functioning but not satisfactorily, ensure that you change your filter and that all your floor registers are open to ensure circulation. If this fails, call in HVAC contract services. As summer comes to an end and temperatures begin to drop, this is the perfect time to have an HVAC specialist inspect your heating system and furnace. The principle of preventing problems even before they start applies here. 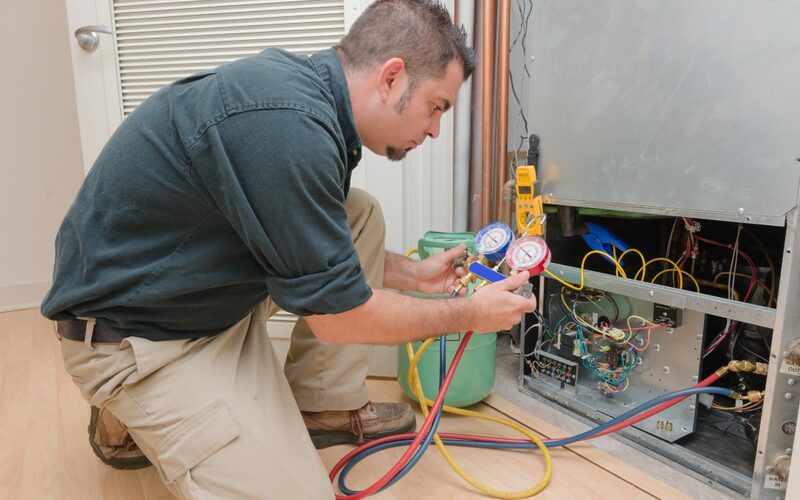 Furnaces, just like any other machine requires consistent maintenance. This is also a good time to make sure you have a stock of furnace filters because they usually go on sale at stores around this time of year making HVAC renovations a whole lot easier. Summer is a hectic season. As such you should ensure that it finds you having performed your seasonal HVAC maintenance. If you discover that your AC doesn’t work to your satisfaction, try some do it you tricks before calling in the professionals because you will wait a while anyway. If your AC is running but not effectively, remove any dust from in and around the unit and change your filters as well. Sometimes, just turning off the AC for a few hours allows it to return to a functioning operational temperature. Just after the beginning of spring is the perfect time to call an HVAC expert to have them take a look at and perform some seasonal HVAC maintenance on your system. You won’t have to wait a long time for them to come by. They will most likely clean or replace filters, check the balance of your refrigerant and lubricate your motor. However, during summer, getting a professional to look at your system can prove to be quite a task since everyone who didn’t do their seasonal HVAC maintenance is panicking. These simple actions can prevent most of the key causes of AC failure. After all, having a maintenance check is much cheaper than paying for a broken unit repair.